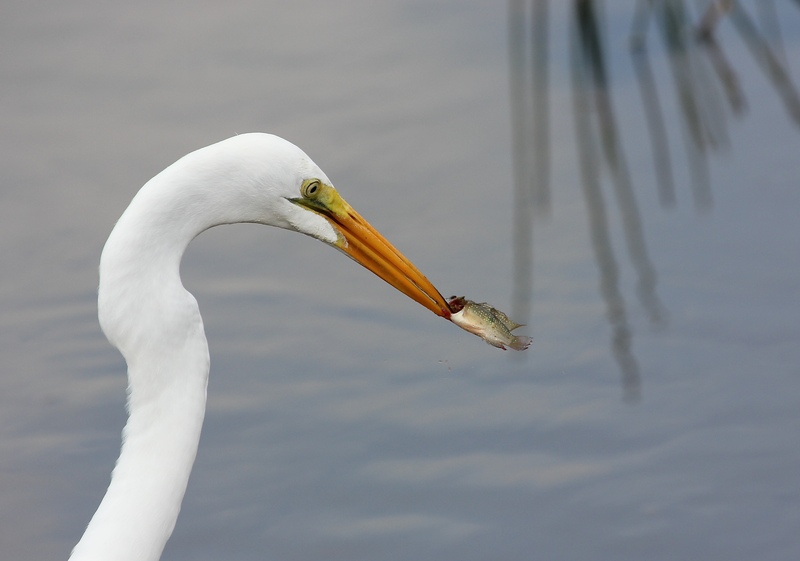 This entry was posted in Birds, Marsh/Wetlands and tagged Great Egret. Bookmark the permalink. I agree completely – well said! Yes, it’s amazingly so. Nicely done. That’s just what I thought!! Glad you enjoyed this, Victor. 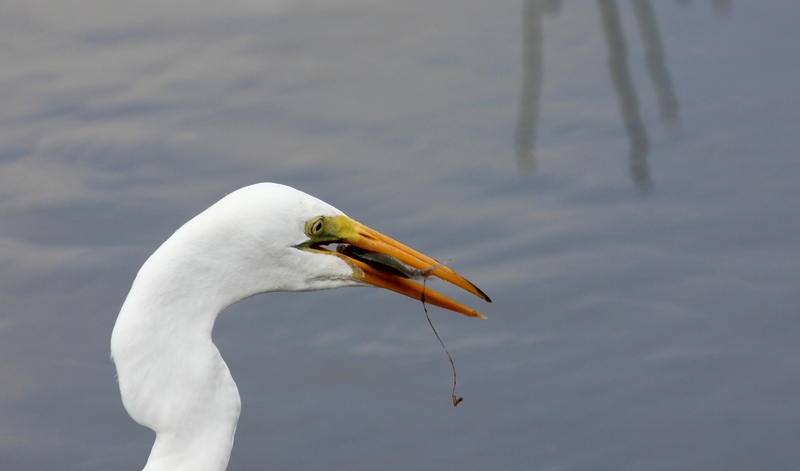 Great capture BJ, it reminds me of a similar experience I blogged some months ago, where the cormorant through the fish up in the air to make it fall head first into its mouth, I only just caught it as I was talking to another birder. Right, same kind of situation. We’re so lucky to have such opportunities! Great sequence of shots. Sometimes I can anticipate action, but more often than not, I am reacting to something as it is happening. I try to be conscious of my camera settings, so they will be approximately right if I have to react quickly. Sometimes it works and sometimes it doesn’t. 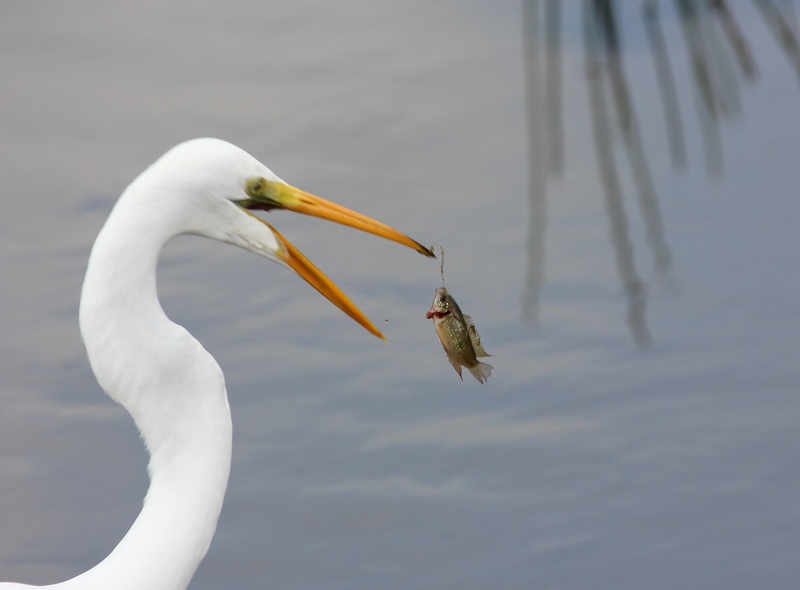 This worked wonderfully for you–the shot with the fish in mid-air is priceless. Thanks very much, Mike! I also try to anticipate, depending on what I’m likely to encounter. Sometimes we just have to shoot and hope for the best! You’re so kind – your visits are always so appreciated, Amy.